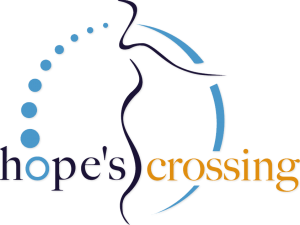 Hope’s Crossing is uniquely dedicated to helping women become successful following traumatic experiences including incarceration, domestic violence, substance abuse, and other life-altering challenges. 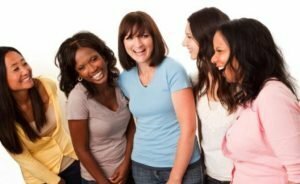 Our focus is on serving each woman’s unique needs with a comprehensive approach to helping her create a new, healthy and fulfilling chapter in her life. Volunteers are an integral part of our organization’s success and we are very excited about the opportunity to connect with community partners that have a shared commitment. Below are the list of current volunteer opportunities and a high-level outline of responsibilities we are seeking to fill. Position Description: The Fundraising volunteer will assist the CEO and her team with the implementation of fundraising strategies for 2017. They will research events and design creative fundraisers throughout the year. The volunteer will also seek corporate sponsors and other forms of donations from the community. Additional assignments can include developing written protocols to support the operations of fundraising tasks and activities. Coordinating with sponsors, donors, and supporters with promotional campaigns, social media marketing and recognition of corporate citizenship. Duties will be approximately 70% project-oriented and 30% clerical. Clerical duties include working with an organizational database, mailings to members, and general assistance. Opportunity for someone who wants to work in an innovative and exciting atmosphere and be responsible for shaping the digital presence of a nonprofit. This position will be instrumental in creating social media content, storytelling for the organization and capturing and presenting program economic and community impact. Position Description: The Program Assistant works with Hope’s Crossing staff developing communications with current and prospective clients, helping to plan and execute program-specific events and prepare for program classes and workshops. Responsibilities include researching, writing, organizing, and promoting events to members and to the community. To be actively engaged in tracking client progress, graduation eligibility and compliance to ensure graduation readiness, and working directly with clients in achieving personal and employment goals. Duties will be approximately 70% project/program oriented and 30% clerical. Clerical duties include working with organizational databases, mailings to members, and general assistance in the success of programs and services. Position Description: The primary responsibility of the HR Manager is to further develop and maintain a healthy and effective human resource recruitment, screening, interviewing and placement system across the organization. Serve as the liaison with programs staff to ensure the effective coordination of staff and volunteers within the organization’s environment. Great communication and people skills are required for this position. Applicant must possess the ability to lead and inspire others, be able to delegate authority, survive ambiguity and be innovative and creative. Assist in the development and oversight of organization policies and procedures that support the mission and brand of the organization. Position Description: The Administrative Assistant works with Hope’s Crossing staff developing communications and helps to plan and execute operational tasks to ensure Hope’s Crossing office is operating optimally. Additional assignments can include answering the incoming calls, data reporting, online and manual file maintenance, administrative support to the Executive Director and program manager. Responsibilities include researching, writing, organizing and promoting events to members and the community. Duties will be approximately 40% project-oriented and 60% Administrative.